"This recipe was inspired by one of my favorite movies, Narnia: The Lion, the Witch, and the Wardrobe." Combine water, red wine, sugar, cinnamon, nutmeg, ginger, spearmint leaves, and mint leaf in a saucepan; bring to a boil. Reduce heat to low and add apple to mixture. Simmer tea until apple breaks easily with a fork, about 5 minutes. 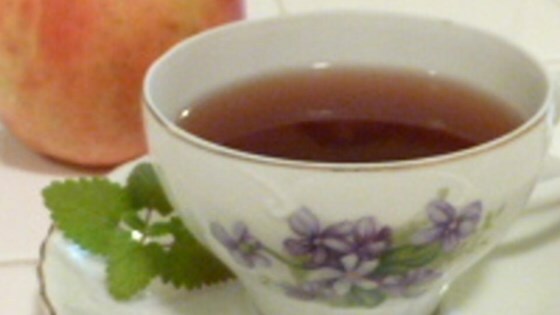 Remove apple using a slotted spoon or strainer and pour tea into a mug. See how to brew the perfect cup of black, green, or herbal tea. So tasty while the rain is falling outside and snow is around the corner! It smells and tastes great, perfect for fall! Thanks Whisker!